Sixty FPS may be a bit limited, though. Epic Games says it’s developing some major updates for Fortnite on mobile, which will include changes to the HUD, higher and more consistent frame rate, and even controller input support. In a State of Mobile Development post on its website, the developer said that it’s in the process of doing a “big quality of life pass” on many HUD elements. It appears the HUD will continue to change, and Epic wants to make it more customizable and user-friendly. And with controls being a large point of focus for Epic, the developer revealed it’s beginning to test some controller setups. The controller support doesn’t seem to be a pressing matter at the moment, but Epic did say it will update fans when things progress more. 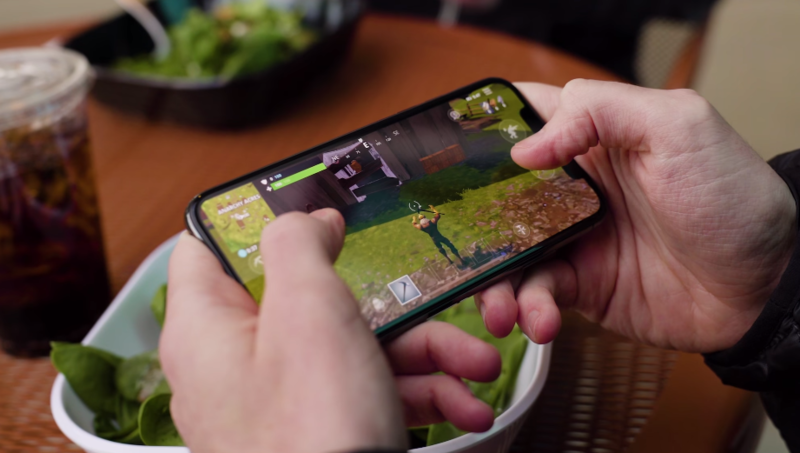 Epic also said it will unlock 60 FPS functionality in the near future on a “limited set of high end devices.” And in addition to 60 FPS on select devices, Epic intends to improve performance and optimization across the board on Android in an effort to reduce the amount of memory Fortnite absorbs on mobile, which is the root of many frame rate issues. Epic has noticed that frame rate tends to drop the longer users are playing on iOS as well, so it plans to change its shader cache system on iOS to reduce the size and impact of memory. The developer concluded the post by encouraging users to constantly update their drivers and game, as well as saying it will continue to work on limiting large update sizes and instead roll out smaller patches.